India, ranked fifth in the world made its presence felt in Rio de Janerio with a 3-2 win over Ireland in their opening encounter at the 2016 Summer Games. It was a rematch of their fixture from the recently-concluded Six Nations Tournament which had seen the Men in Blue clinch a 2-1 win courtesy goals from Talwinder Singh and Sardar Singh. Going up against an upbeat Irish side who has qualified for the first time since 1908, the Indians had everything to play for as they took the field. The hunger was apparent in Rupinder Pal Singh and VR Raghunath as India earned four penalty corners in the first quarter. Although they missed the first three shots, ace drag-flicker Raghunath started the proceedings after he found the back of the net in the 15th minute. 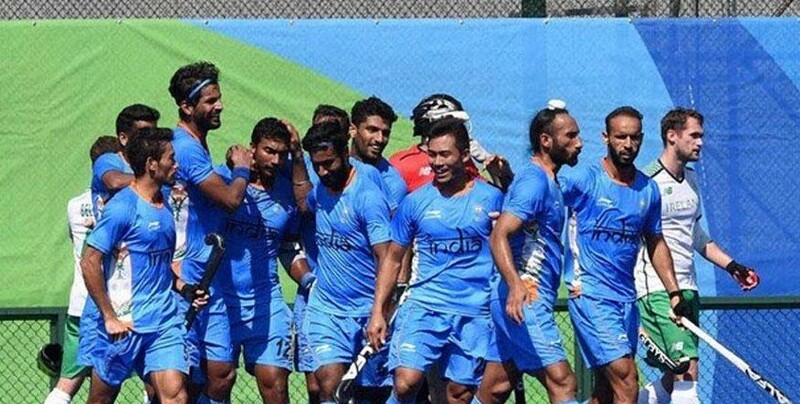 Goals from VR Raghunath and Rupinder Pal Singh helped India clinch a convincing 3-2 win over Ireland. The second quarter saw the Indians raising their game to execute a flurry of onslaughts on the Irish goal. Rupinder Pal Singh eventually made it 2-0 in the 27th minute from another penalty corner. An eventful second quarter led to the scoreline reading 2-0 at half-time. India dominated the field left, right and center in the third quarter as Ireland failed to take control of the game. The midfield was stretched to its fullest where the well-experienced talisman Sardar Singh, who completed 250 caps along with fellow central pivot Manpreet rose many notches. The ‘Green Machine’ bounced back with a goal in the 45th minute, John Jermyn scoring for Ireland. But the PR Sreejesh-led India regained their shape as the crucial third goal from Rupinder gave them a 3-1 lead. Conor Harte scored Ireland’s second goal in the final quarter to give them a glimmer of hope in the dying stage, but India held on to register a convincing 3-2 win. Two wins from five games will be enough to see the ‘Men in Blue’ out of a tough ‘Group B’ which includes Canada, Germany, Netherlands, and Argentina. India will be playing Germany in the next game on August 8.